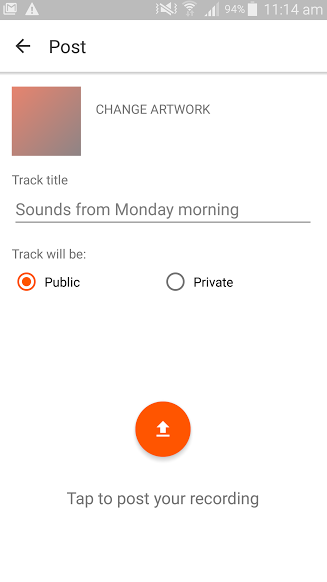 To record and upload to Android, you must have the SoundCloud app for Android. You must also have a confirmed email address before uploading or recording on SoundCloud. If you did not receive an email confirmation, please check your spam folder. If you still have not received an email confirmation, please send yourself another one through the Settings page. 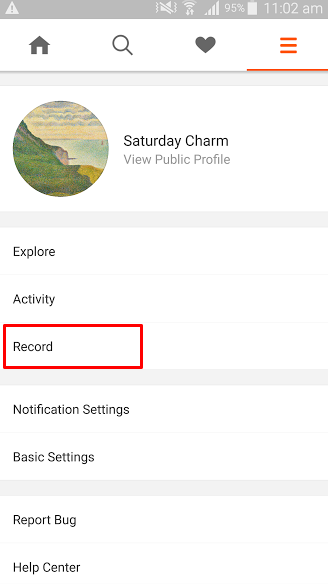 This will take you to the Record page, where you can tap the microphone to start recording. 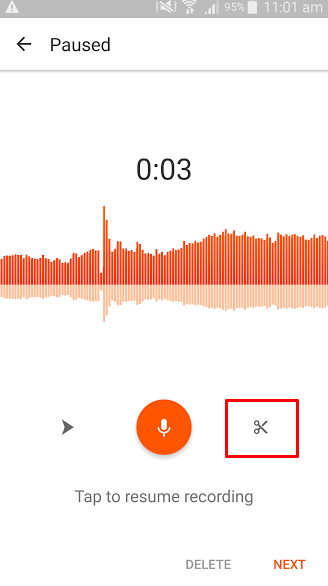 You can pause your recording by clicking the microphone again. From there, you can choose to edit your recording, or move on to add additional information before uploading. Once you are happy with your recording, continue on to ‘Next’. The next screen will allow you to add artwork, change the title of your recording, and change the privacy settings. Once you have finished adding additional information to your recording, you can upload it to your SoundCloud account. Make sure that you are using a strong wifi or 3G connection, so the upload does not fail.